On the 14th February, people across the country will be showing the love for action on climate change. 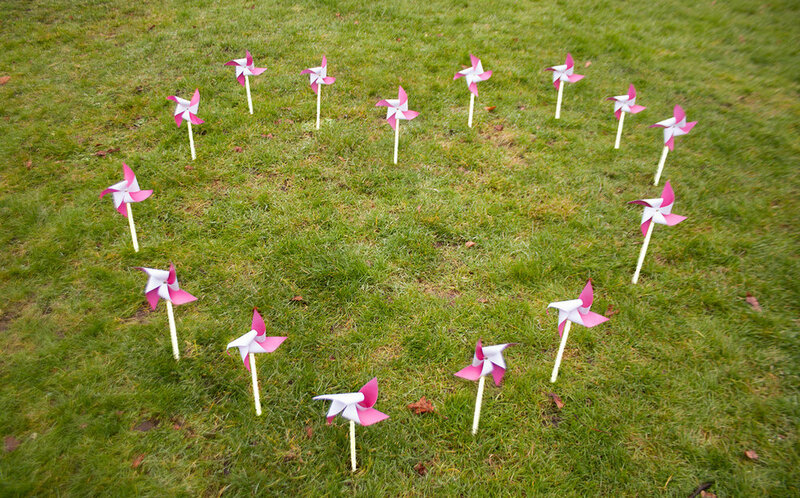 Last year, we carpeted Parliament Square in pinwheels to show our government just how many people love wind - and now we’re recreating the fun across the country on Valentine’s Day! Get some friends together - your friends, colleagues, WI group, swimming club... anyone! Download our pinwheel making kit and get crafty. Take a bunch of photos. Arrange your pinwheels in a heart to show the love for wind or take a pinwheel selfie. Share! Use the hashtag #BlownAway, find us on Facebook or email them to us at hello@1010uk.org. Newer PostA dose of hope: Cornwall is going 100% renewable, and so is Abbey Road recording studios!